I know this question has been asked 1,000 times. My 127 AP does 2100 dmg and my 127mm HE 1800. I have very fast guns so I was thinking of going with AP. However it seems that HE is still more effective. Is that because a lot of AP is failing to penetrated another dd's armor. I know its all specific. I play high tier dds so if u want to narrow ur answer to high tier dds, that would be great. Thanks in advance! Not failing to pen but rather over penning. APs maximum potential is hitting an enemies citadel. DDs don't have citadels. Use HE. thanks Lubzin.....not sure I understand overpenning. Does that mean I am going through the ship without causing damage? not sure I understand overpenning. Does that mean I am going through the ship without causing damage? AP shells have a fuse that requires an X amount of armor to 'trigger' and have a Y amount of milliseconds to burn, before the shell detonates. There are two ways to 'overpen': either hit a plate of armor too thin to trigger the fuse, or hit a ship so small the shell travels through and out the other side before the fuse has time to burn and trigger the warhead. Normal pens is when the fuse triggers and the shell detonates inside the ship, but outside the citadel. Citadel pens is when the fuse triggers and the shell detonates inside the ship. DDs have no citadel, therefore your AP can only do 33% damage maximum. No damage occurs when the shell is too small and hits too thick armor to do damage to. Normal pen damage occurs when the shell is big enough to splashdamage through the armor and damage the ship. Citadel damage will occur when the shell splash is large enough to damage the citadel through its armor. For DD vs DD I'd recommend HE as primary shell, maybe with AP when the enemy DD is broadside. Switch back to HE if your AP shells overpen. Light cruisers from 6< km and Heavy cruisers 5< km results in massive citadels. I once flanked a full health ibuki in my Gearing under 4k and knocked him out with over 15 consecutive citadels. Last but not least, BB's at 7km or less can take massive damage from AP in their super structures. I have had many Montana's and Yamato's turn and show me broadside at close ranges and get smacked for heavy AP volley damage in SS. I will piggy back off of Lert: it depends. 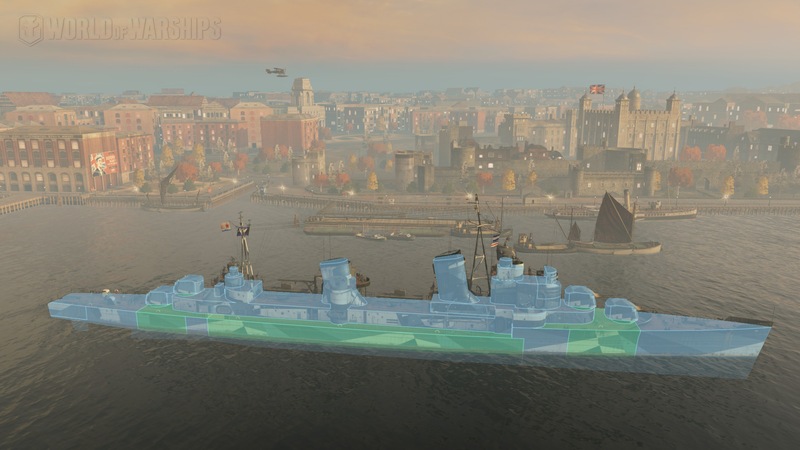 if you are in Akizuki and up, the guns are small enough the AP will not overpen most DD’s, however, like Lert stated, they must be flat broadside. Oh, one other dirty AP trick. If Khabarovsk goes flat broad, AP the poo out of them with your, any, DD gun and watch them melt. Also, it’s hilarious because they can’t heal that damage back like HE. My groz loves to do such nasty things to Khab. Theres another DD AP trick I use against US and KMS DDs: depending on the ship line, there is a perfect distance to get solid pen damage from AP shells, but it will be up to you to figure it out! Excellent answers. Thanks very much. Toying with the YueYang Legendary upgrade that make my guns 2.1 secs. Have used HE and AP as well inertia fuze for HE shells. After grinding away, the cost for faster armmo reloads may not be worth the .7km addition to detectability. My take away was guns not killing dds fast enough although they have been effective. One thing, I learned was the Harugumo was happy to trade shots with me even when he was broadside and won. Almost exclusively use HE. Except when enmy DD is broadisde and eats pen damage such as a khaba while in a Z52. Hit them in the green areas, they're 50mm thick, guaranteed to fuse all DD shells and keep them from overpenning. The forward and aft green areas cover the magazines, hit there for a chance at additional fireworks. Imo, the only DD that noticeably benefits from firing AP against another DD is the Z52. There's a massive disparity between HE and AP shell damage, and you'll wreck another DD that's showing you any side with Z52 AP. Outside that, I normally find HE far more consistent, and it's a lot more useful if the DD turns out, rather than wasting a salvo changing back to HE. I will shoot at CL/CA or BBs that are close with AP if they're showing me any side though. You can do some surprising damage. It will be interesting to see what happens with UK DD fuze timing in the long run. I don't think they have the incredibly twitchy fuzes the RN cruisers have, but the RN is its own thing and I think they might already have made changes in that regard to help the T9-10 destroyers rip apart battleship superstructures with AP when their HE won't penetrate. Hi, good question @RiverBend__. Thanks @Lert for the answer. One question I have related to all this: I know HE shatters if the armor is too thick at a known threshold and does zero damage. I believe AP will also shatter if the armor is too thick, even with a perfect perpendicular shot (no angling at all). What is that threshold? How do we know what armor our AP shells will reliably penetrate? I believe AP will also shatter if the armor is too thick, even with a perfect perpendicular shot (no angling at all). What is that threshold? How do we know what armor our AP shells will reliably penetrate? That isn't listed anywhere and is dependent on angle of impact, range, shell velocity, mass, krupp (shell hardness) and armor thickness. The further away the target, the less velocity and thus less pen an AP shell has. The less krupp, the less hard the shell and the more likely to shatter. The more angle, the thicker the effective armor is and thus the more difficult to pen, etc etc. For some shells / ships WG has released pen data in various videos, but that's only a minority of cases. Another big consideration is if you encounter a target that has been HE Saturated. Sometimes the only choice to finish off a target is a couple of well place AP volleys. Same with HE. You only get max damage if your HE pens the citadel, which never happens. If you are getting consistent regular pens with AP then it will outperform HE. That being said, it is rare to get consistent full pens against another DD, and it will only be a couple seconds before that DD turns, changing the angle and ruining your AP. So yah, HE is the way to go, with rare exceptions. I guess that is consistent with "HE is more simple and more reliable but lower damage, AP is more difficult and situational but potentially higher damage"